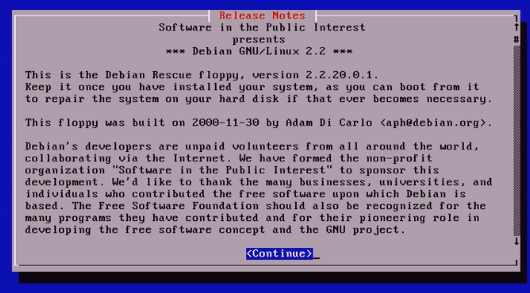 Debian 2.0 introduced the new official port, m68k. During this time the first port to a non-Linux kernel, Debian GNU/Hurd, was started. Available for download in ISO image format.